Construct 2 Games are fun browser games that allow many people to be entertained for hours. Their entertainment is a gift given to them by the people who take the time to program the games. Therefore, the way that the HTML5 programmers develop their games is vital for the execution and performance of the final product. Construct 2 games are one of the best HTML5 game engine and framework for developing 2D games; this engine is event-driven instead of code-based. Construct 2 requires no coding, works efficiently and is the preferred game engine of many HTML5 programmers. Anyone with a passion of HTML5 game development can use Construct 2 source code despite having any lack of coding knowledge. Construct 2 allows HTML5 programmers to develop games without having to write hundreds of lines of code! HTML5 games are then developed faster and easier than they ever have before. Construct 2 makes HTML5 game development fun by using event sheets that allow developers to put logics into their game. Other HTML5 game engines or frameworks are not as user friendly and make developers want to pull out their hair from frustration. When compared to Game Maker: Studio, Construct 2 games has been commended for its visual qualities and intuitiveness of HTML5 programming. Game Maker: Studio has a poor level editor, as well as having a limit script language, a tendency to crash or compile games, and more expensive despite having limited features. Construct 2 has a free version available for programmer that contains a fraction of the features on the paid version. The full version of Construct 2 has features such as no coding required, fast game previewing that requires no compiling, and is available at a price that won’t hurt your pocket. C2 has a variety of qualities that make it the preferred game engine of many HTML5 game developers. First off, the community of developers that use Construct 2 is large and very supportive. 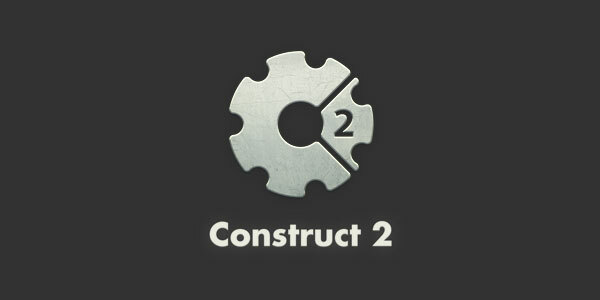 Construct 2 forums are posted on daily to discuss solutions and answer any questions about the game engine. If you can’t find any answers on forums, feel free to reach out to the developers of Construct 2; they are always available and eager to help. Next, this game engine supports camera, speech recognition, microphone, and synthesis. This feature allows HTML5 game developers to program games that will use any of the applications on PC or mobile. Construct 2 games source code has a variety of versions currently available Free, Personal, and Business. The Free version, as previously stated, has limited features and won’t allow you to profit from any games you develop. The Personal version has more features and allows you to make up to $5,000 with any HTML5 games you develop. The Business version is a required update after you’ve made $5,000 using the Personal version; this version is just a runtime license agreement. Overall, the cons of C2 are outweighing those of their other HTML5 game engines currently available. So, if you’re looking for a fun and easy way to program HTML5 games Construct 2 Games Download. Head over to Steam to download Construct 2 for free of at a reasonable price. You won’t regret your purchase!